Waiting On Wednesday is a weekly event, hosted by Jill at Breaking the Spine. WOW spotlights forthcoming titles that we absolutely can't wait to read. 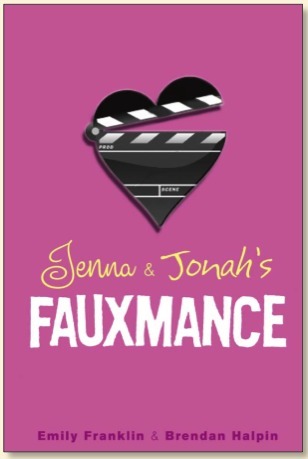 Summary: Fans of romance don't need to look any further than the fauxmance brewing between teen idols Charlie Tracker and Fielding Withers—known on their hit TV show as Jenna and Jonah, next-door neighbors flush with the excitement of first love. But it's their off-screen relationship that has helped cement their fame, as passionate fans follow their every PDA. They grace the covers of magazines week after week. Their fan club has chapters all over the country. The only problem is their off-screen romance is one big publicity stunt, and Charlie and Fielding can't stand to be in the same room. Still, it's a great gig, so even when the cameras stop rolling, the show must go on, and on, and on. . . . Until the pesky paparazzi blow their cover, and Charlie and Fielding must disappear to weather the media storm. It's not until they're far off the grid of the Hollywood circuit that they realize that there's more to each of them than shiny hair and a winning smile. 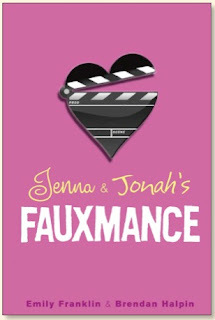 Why I Want It: On and off screen romance, need I say more? It sounds good and I wonder if it has a funny side to it too. ooh! I hadn't heard of this yet. I enjoyed their first book, Half-Life of Planets. Thanks for the heads up! This one looks adorable! Not really into contemp, but I'll pick it up if it's good.